#1 Amazon best selling author Michael French graduated from Stanford University and Northwestern University. He is a businessman and author who divides his time between Santa Barbara, California, and Santa Fe, New Mexico. He is an avid high-altitude mountain trekker, as well as a collector of first editions of twentieth-century fiction. He has published twenty-four books, including fiction, young adult fiction, biographies, and art criticism. His novel, Abingdon’s, was a bestseller and a Literary Guild Alternate Selection. 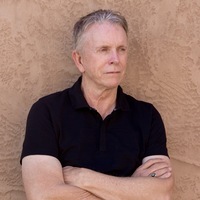 His young adult novel, Pursuit, was awarded the California Young Reader Medal. The Reconstruction of Wilson Ryder was published January 2013. Mountains Beyond Mountains was published April 2013. Once Upon a Lie was published #1 Amazon best selling author Michael French graduated from Stanford University and Northwestern University. He is a businessman and author who divides his time between Santa Barbara, California, and Santa Fe, New Mexico. He is an avid high-altitude mountain trekker, as well as a collector of first editions of twentieth-century fiction. 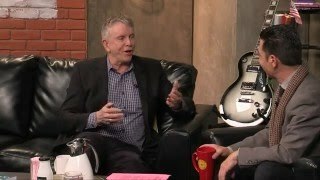 To ask Michael R. French questions, please sign up. In my new novel, The Beginner’s Guide to Winning an Election, I was pleased to be recently interviewed on a podcast by a savvy, knowledgeable sixteen year old student activist on KidsFirst.
" fortunately, no student politics in K - 6 classrooms, just federal and state governments shaping attitudes and budgets affecting curriculum, teacher s fortunately, no student politics in K - 6 classrooms, just federal and state governments shaping attitudes and budgets affecting curriculum, teacher salaries, physical safety, et al ...more "
We’d love your help. 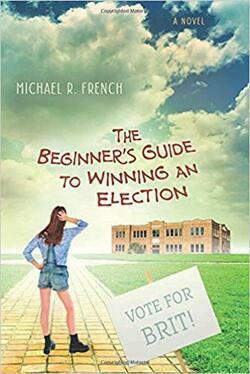 Let us know what’s wrong with this preview of The Beginner's Guide to Winning an Election by Michael R. French. We’d love your help. Let us know what’s wrong with this preview of She's Not Herself by Linda Appleman Shapiro.
" there's a lot of revealing subtext to Mr. Heady's post "